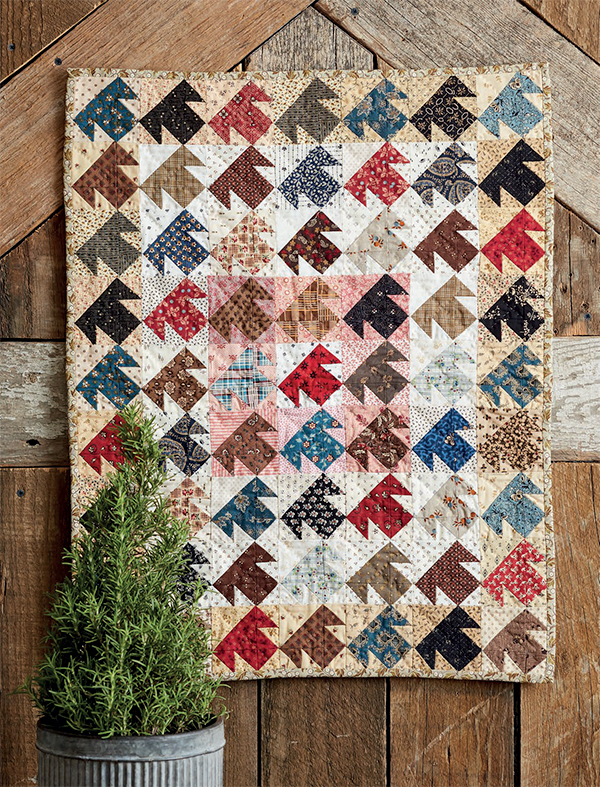 You’ve just finished a little quilt top—and it’s soooo darned cute! Now maybe you’re wondering how to finish a small quilt with style. 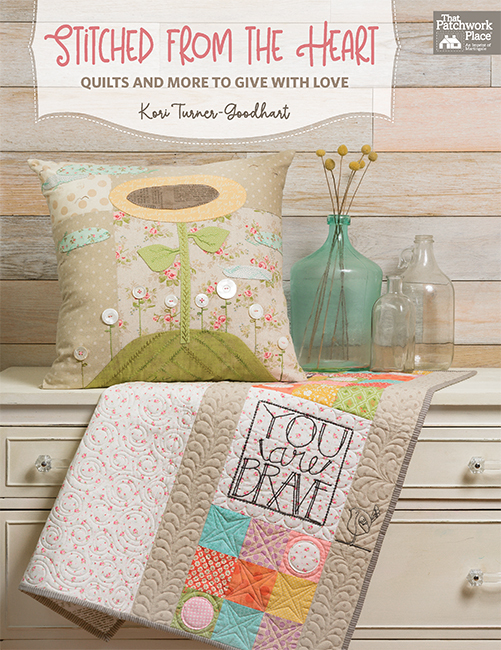 No worries—Quirky Little Quilts author Sheryl Johnson of Temecula Quilt Company has you covered from batting to binding. Baste the layers—Sheryl’s got a terrific idea for using an unusual batting so your small quilts stay soft and bendy (instead of stiff as a board). 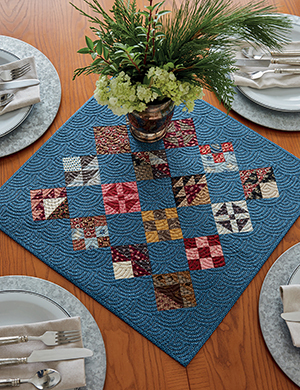 Quilt ’em together—learn Sheryl’s method for stress-free hand quilting—she makes it look so easy! Reading this post in email? Click here to watch the video on Youtube. How do you typically finish your small quilts? 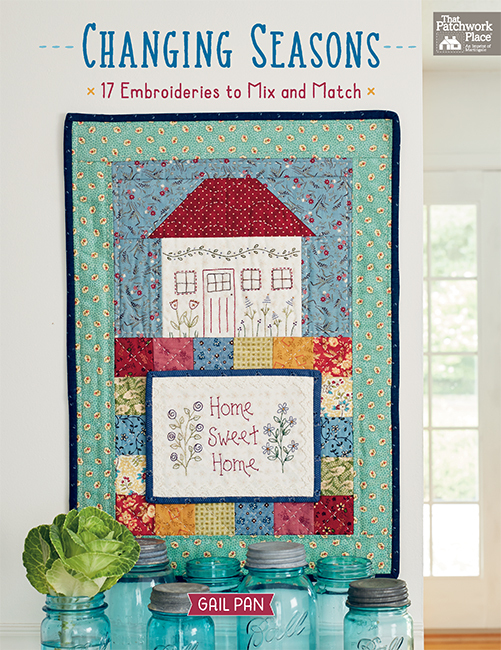 Basting, hand quilting, and single-fold binding—just like Sheryl! I usually machine quilt my small quilts. No small quilts yet, but Sheryl’s are so sweet I may give one a try! Share your methods in the comments—and be sure to follow Sheryl on Instagram (@temeculaquiltco) for more quirky fun! I usually machine quilt. I did one with the big stitch. I have not made any small quilts yet but am hoping to soon. I love these small quilts! I haven’t made one yet, but seeing these makes me want to! I have made very few small quilts but this is certainly an inspiration. Have to put this book on my Christmas list. Depending on the quality of the fabric, I usually pin baste, machine quilt and double fold binding for most small quilts. Most often I hand quilt small quilts. I usually machine quilt my small quilts. I mostly make small quilts for my guilds miniature quilt auction. I’m getting ready to do one of Cheryl’s TQC mini projects so really appreciated seeing this — love her batting idea! I’ve finished little quilts both by hand and by machine and find that it depends on the project, what is my stitching plan and how much time I have that determines how I want to finish it. Just like Sheryl. I baste, hand quilt and bind. One of my first quilts was a small one. There used to be magazines on the rack that supported little quilts. I did hand quilt it but used double fold bias. I did not realize I could use single fold. I still have it on my couch, it is a favorite, and reminds me how far I’ve come. Or not. I use double fold binding but cut the strips 2″. I baste, hand quilt, and then do a single fold binding as well. I love little quilts. They are so easy to handle and get done quickly. I have only made a few ( one Jo Morton – one of the first quilts I ever made, It is my favorite). I have never made a small quilt. They are usually queen size. I really should try one. I have two small quilts started, just not finished. I machine quilt my small quilts. My hands can no longer handle hand quilting. No small quilts at this point, but I may surrender eventually. Nice to have the tips in advance. 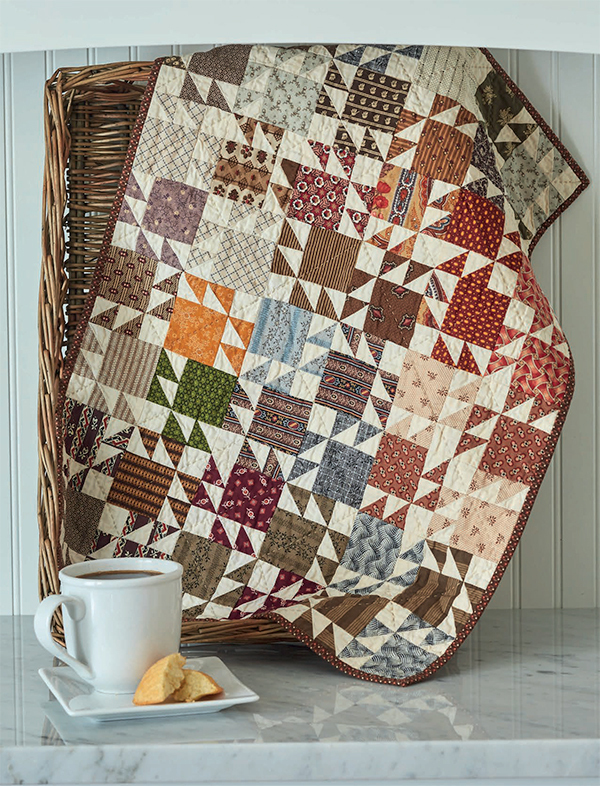 So many quilt patterns; so little time. I machine quilt small quilts (I’m not Rockefeller and don’t own a longarm). My small quilts get bound the same way a large quilt would…just because they’re small doesn’t mean they’re not worthy of the respect and treatment that their bigger siblings would get. 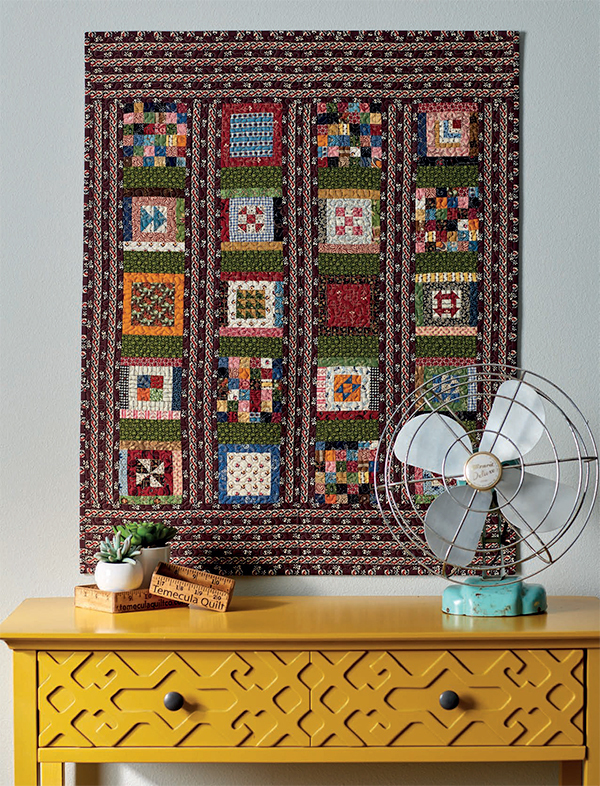 I would love to try out some of Sheryl’s tips and patterns for small quilts. So charming! I have two small quilt tops and didn’t have a clue on how to finish…..thus they haven’t been finished. Thank you for your tips and video for finishing small quilts. Much needed! I hand baste my little quilts, hand quilt and then bind with a single thickness! I have machine quilted my small projects thus far. I usually machine quilt my small quilts but am interested in learning to hand quilt them. I usually machine quilt small quilts because they are too hard to put in my hoop to handquilt. THis looks like such a lovely biook. 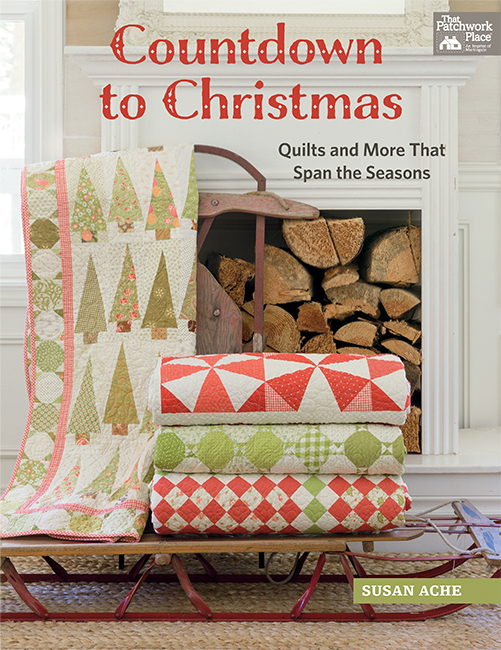 I have not made a small quilt but the book looks very interesting and would be fun to try. I don’t usually make them really small, but I do hand quilt them. It only takes an afternoon. Have not made a little quilt yet but would like to do some hand quilting. I use to make a lot of my own clothes and haden’t even blind hemed for some time but back in the swing of things. Machine quilted, machine binding on the front, hand binding on the back. Big stitch quilting and double binding. But I am definitely going to try the single-fold. Thanks! Generally machine quilt…but every now and then will hand quilt! I like to bigstitch my little quilts but I have also machine quilted some that have lots of seams. I do my little quilts a lot like Sheryl. Love her little sewalongs at Temecula blog. I make mine just the way Sheryl does, because her shop is where I learned to love and make little quilts. That shop was my LQS when I lived in SoCal, and I sure do miss it! I machine quilt in a ditch and hand quilt the centers. I just learned about using single fold binding this past year and used it with excellent results. Love them, but haven’t made any. Have wall space in my hall where I want to display some. I do both hand and machine quilting on my little quilts. I love her hand quilting method and plan to do more her way. I like mine to be bendy, too. I usually machine quilt, but occasionally I will enjoy the hand quilting process. I machine quilt all my quilts. I just finished a little quilt top and need to quilt it. Thanks for showing the single fold binding for little quilts. I’ve never done that befor on previously finished small quilts. I usually finish by machine maybe with a binding. Machine quilt – and use narrow double fold binding. I finish small quilts the same as full size: baste, quilt, and bind. But I like the idea of using flannel for its softness… good suggestion that I’ll try next time. Imade the Temecular Tiy Quilts and machine quilted a few. I wanted to do the others by hand, but was having trouble quilting. I have three sandwiched withcotton batting but will takethem apart and put flannel beteen.Ithink that will solve the pro lem. Thanks. I usually machine quilt. I just may give Sheryl’s techniques a try! I usually machine quilt my little quilts. I am so impatient to get to the next one. My 81 year old mother loves to hand quilt, so she has finished all of my quilts, large and small. Love the book! I hand quilt my small quilts, it’s so relaxing and rewarding. I love to do them by hand. I usually baste and machine quilt my small quilts. I have used both double and single fold binding, depending on the size of the quilt. I love hand quilting and always finish my little quilts by hand. I have made many of Cheryl’s designs and lots of my own, always following her small quilt binding tips. and finish my small quilts that way. No small quilts yet, they look fun. Basting hand stitching and binding for me! I don’t to often hand quilt anything. Machine quilted/regular binding.